Hello Friends Today I am Posting [How To] Close All Running Applications in a Single click? I want like to close all the Running applications to fast turn off my PC. Since I restart or turnoff my PC, I manually close all application. Depending on the number of Running applications this can be a waste of time. Close all Software lets you Close all running applications with just a single click. It doesn’t use system resources because it only flashes a ‘close’ signal to all open applications on the desktop and then ceases. 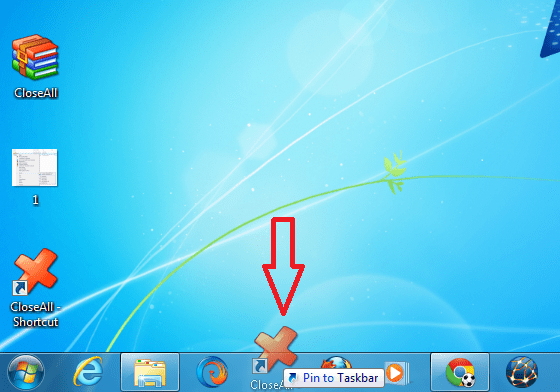 Just create a shortcut to the tool in the Start Menu, Quick Launch, Windows 7 Taskbar or elsewhere. Step 1: Download this Software (Closs All) and extract it on your PC. 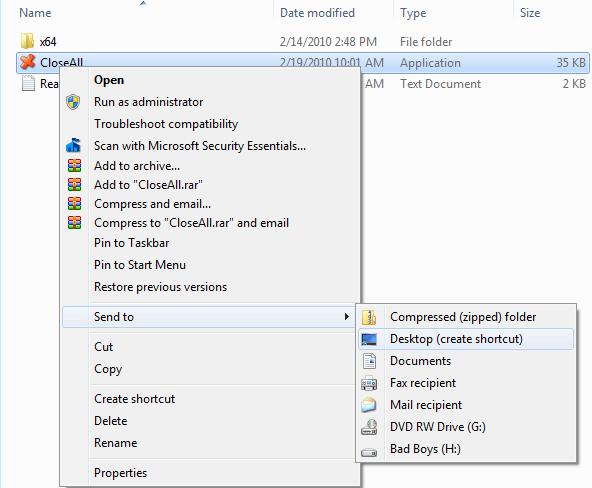 Step 2: Open the extracted folder, right-click CloseAll.exe and choose Send To -> Desktop (create shortcut) See This Pic..
Now you can drag this shortcut to the Quick Launch Bar to the Windows 7 Taskbar for quick access. After getting it on Quick Launch Bar just single click on it and all your Running application will be closed at a Time.